Pansodan Gallery is proud to announce the opening at the end of March 2015 of a new space to complete the already existing two. Pansuriya Photography Space, the third venue after Pansodan Gallery (2008) and Pansodan Scene (2013), is located in Downtown, just a few streets away from the main Pansodan axis. Pansuriya will be a space displaying from now on only photography. 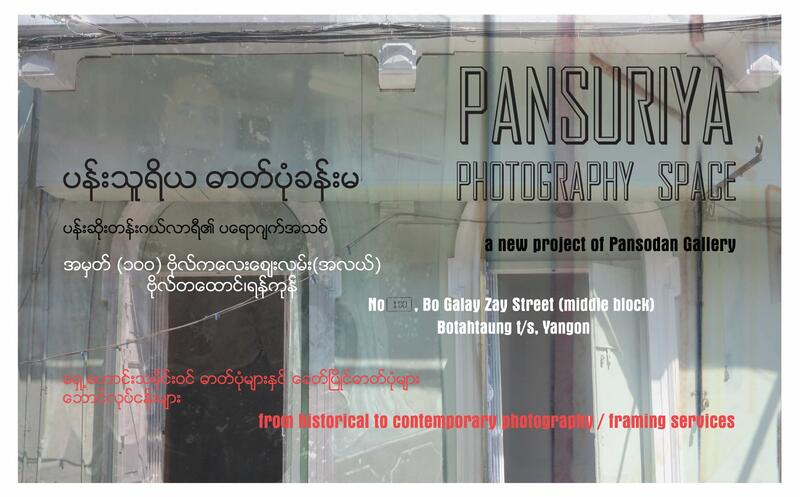 Dedicated in the future to historical as well as contemporary art photography, Pansuriya wishes to showcase through a series of temporary exhibitions, the past of this medium while showing new talents of the scene. The historical aspect of photography is almost invisible at this current moment hence the focus on photography Pansuriya will provide is a way to also encourage research on that field. Stay tuned for the next moves and the soon coming opening! 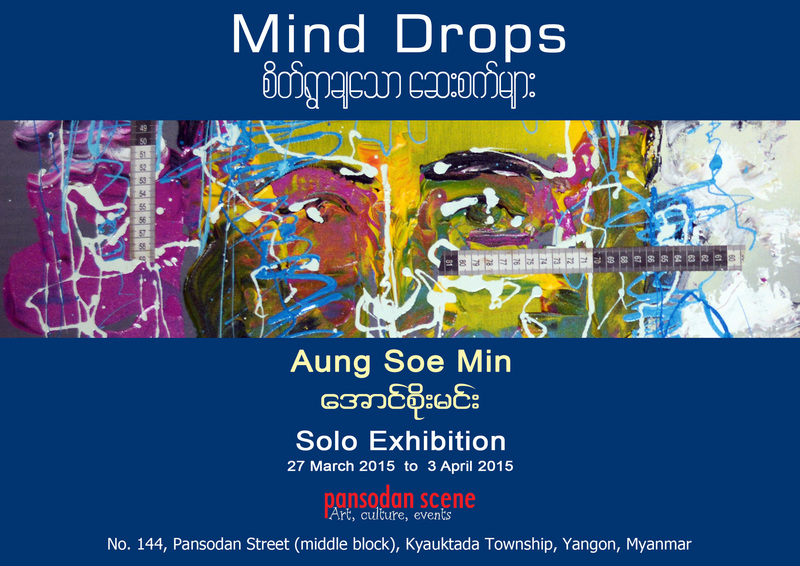 First Solo Exhibition of Aung Soe Min at Pansodan Scene from 27.03.2015. The first solo show of artist and gallery owner Aung Soe Min will open on Friday 27 March 2015 at Pansodan Scene. The show tilted `Mind Drops` will display works created during the past two years, introducing different series of paintings and sculptures to the public. Moreover a specific installation will complete the visual aspect of the exhibition. The works of Aung Soe Min, usually belonging to separate series of which each focus on a specific issue, bring to the surface subtle topics wrapped in to an expressive brush-handling and experimental use of various techniques – from print to handmade paper through spoons. Join us to discover the multiple layers of interpretation! The opening of the exhibition will be from 10 a.m. to 6 p.m. of Friday 27 March. 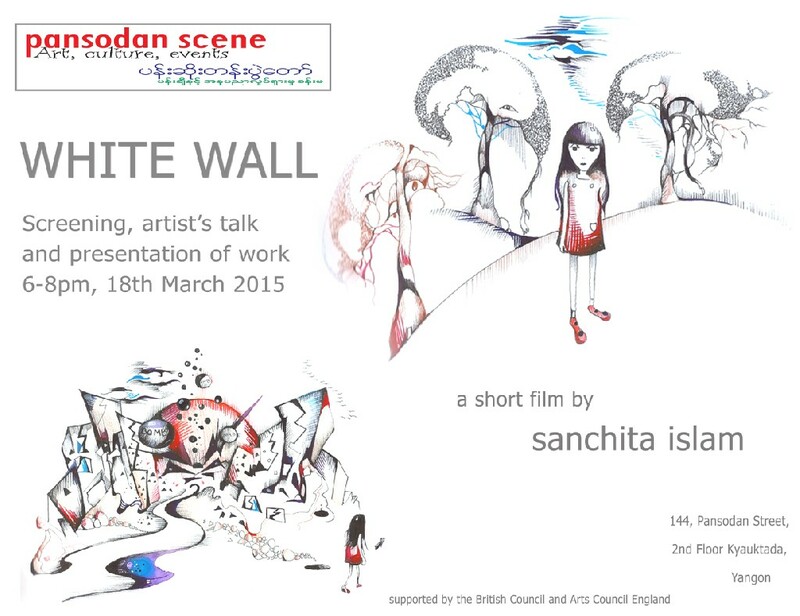 White Wall – screening, artist talk and open discussion at Pansodan Scene – 18.03.2015, 6 p.m.
contemporary art spaces in UK and Europe. Sanchita Islam’s journey into the art world has been an unusual one. directed seventeen films to date including shorts and one-hour films. four PEP events have taken place in London, New York and Brussels. discover Sanchita’s vibring artistic world!